The Elbsandstone area is a nature conservation area, and has traditionally been a climbing venue famous for its lack of bolted protection and trad style gear placement, as well as a ban on chalk. 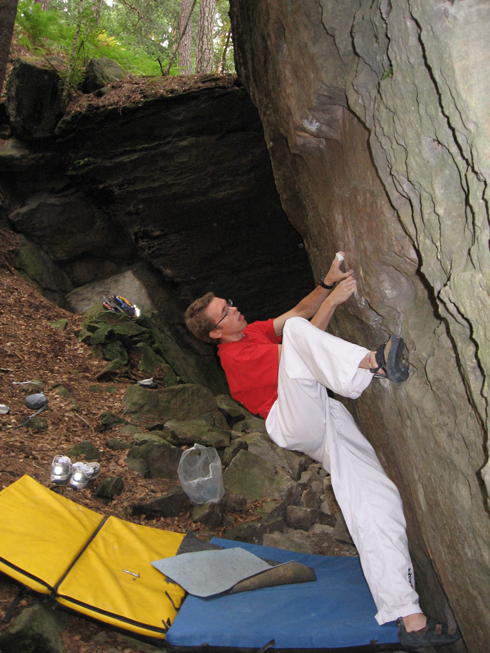 Over the last 20 years locals have also been developing the boulders as an alternative to tradtional climbing. 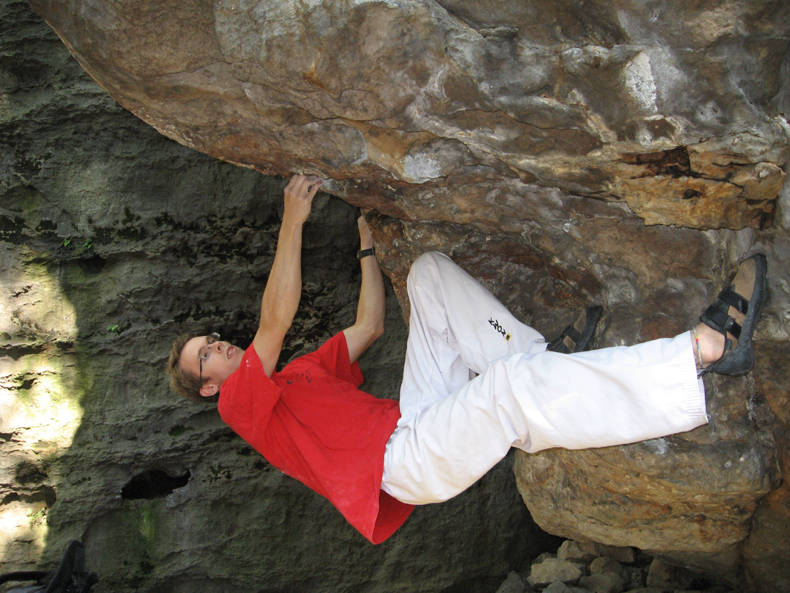 However, the bouldering had mostly gone unnoticed until an article in the Germany magazine Klettern, which contained sketches and information on the area. Not only did this draw a huge crowd of boulderers to the Elbsandstein, but it also caught the eye of the forest patrols who did not like the fact that chalk was being used for a lot of the problems. Since then, people caught with chalk have been fined by the police, and it has become an overall tricky situation for climbers in general. 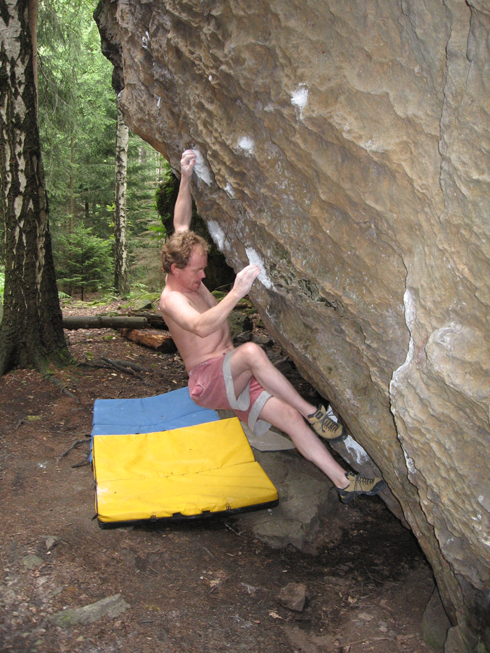 The quality of the bouldering is very high, and could be one of the hardest areas in Germany. The amount of problems in the 7b - 8a difficulties is staggering. It's no suprise that some of the best climbers come from Sachsen. For begginers and internemdiate climbers, this might well be a put-off, as there are not that many good easy boulders. There are also a lot of traverses, and if you're used to sparkling clean boulders like in Bleau you may be dissapointed. 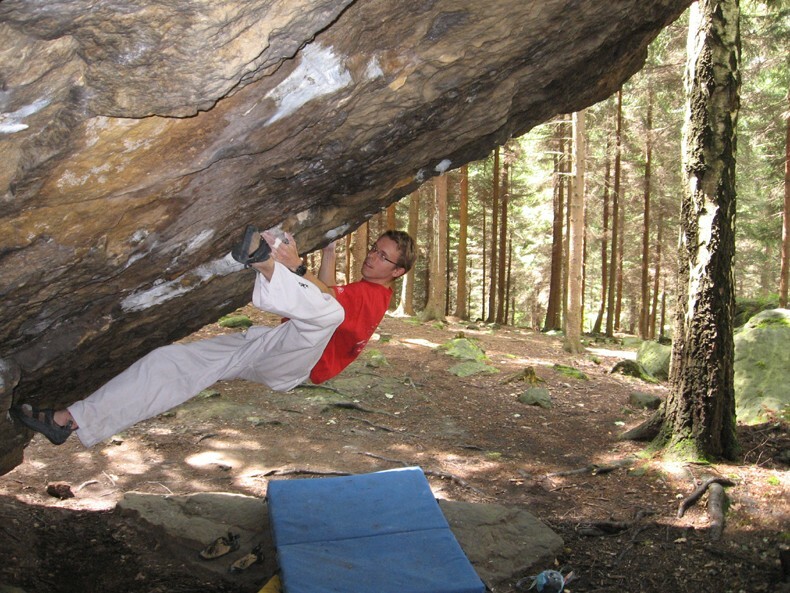 This is typical Germany bouldering, deep in forests with plenty of green and mossy climbs. I can recommend checking the website Gulag-online.de for topographs on the areas, and general information. Although the website is not up-to-date it still provides plenty of info on the different sectors.